Your home plumbing is an important aspect of your property, and requires regular maintenance and checks in order to stay in good condition. It can be difficult when you are not qualified and do not understand plumbing to notice when something is up. In most cases, plumbing issues are often undetected until it’s too late, this is because sometimes they do not always portray warning signs which you can pick up on. Although it’s most likely one of the most overlooked home issues by homeowners as it’s more external and out of sights, it’s one of the most important parts of your home, and if left damaged or faulty, it can have a negative effect on your property, causing issues such as water damage and severe deformation of your belongings or warped flooring. Although water may seem harmless, it can start destroying your property within minutes and can have devastating effects, that if left long enough may even be beyond repair. So if your worried that your plumbing system may be slightly dated, or if you’ve been seeing any warning signs that it could be outdated or damaged then its time to call gas services Aylesbury to assist you with checking your boiler and the rest of your plumbing. If you want to look out for any potential warning signs that there could be any issues with your home’s plumbing, then keep reading! We’ve devised a list of the most common signs that your plumbing system needs replacing. This can happen in any of the rooms in your house, whether it be your bathroom sink or your kitchen sink. If you notice that your drains are taking a while to drain out any water or liquid, this could be an indication that there’s a problem. If you often tip things down your sink that you shouldn’t or have been putting small chunks of excess food down your kitchen sink, this could be what’s causing your drain to drain slow. The food or excess liquids could have become clogged up if this is the case you can put drain cleaning chemicals down your drain to break up the blockage. Or you could use a drain snake to break up and pull out all of the blockage. If you have done all of this but still find your pipes blocked up, then this could be an indication that there is a more complex issue that needs a plumbers attention. This kind of pipe was used widely in plumbing between the years of 1970-1990, so if you have a new-build home, then you should be exempt from this problem. This material was widely favoured by plumbers all over the UK due to its flexibility within plumbing and the fact that it was more affordable than other plumbing materials. As well as this it was easier to use due to its flexibility. Although, it was later discovered that Polybutylene is toxic and can have a negative effect on the human body over a prolonged period of time. 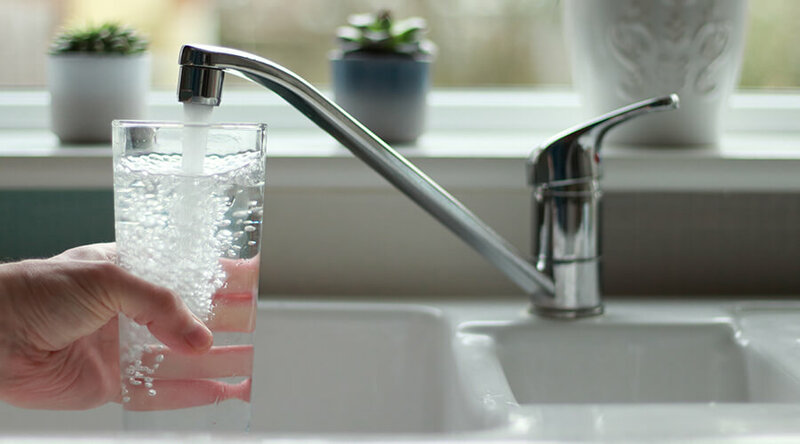 If your home has Polybutylene pipes, then the water that flows through them into your drinking taps can be contaminated and toxic. You may not notice it at first, but if you are feeling general unwellness, then it could be down to this. Get a plumber to check your home’s pipework, especially if you live in a slightly older house. Polybutylene is commonly found, and it could be affecting your health, so be sure to get it looked at. Bad smelling drains can affect the overall scent of your home. If you are having guests over, then this smell can be extremely off-putting, especially in somewhere like the kitchen. Often it can be simple to diagnose the cause of a bad smelling drain; it is usually food that has clogged up in your pipework that has begun to rot. To avoid this, you should refrain from putting any food scraps down the sink; you should only be pouring liquids down your drain – excluding fats and oils. If your drains smell like egg, this can be the sign of a more serious issue. This often means that you have a blocked up drain vent, which is backing up sewer gas into the pipes in your home. Although this is not necessarily dangerous at this point, when left it can become hazardous. So it’s essential that you contact a qualified plumber to address the issue. We often replace plumbing work in clients homes due to low water pressure issues. Low water pressure is when the water that comes out of your showers or bathroom and kitchen taps drizzles out at a slow pace, even when turned on full power. Your taps should shoot out high-pressure water, but if it’s become trickling or barely comes out even when on the highest power setting, you could have a problem. This is a more frequent issue in older properties in which the plumbing and pipework has become damaged and faulty. Although it’s difficult to pinpoint the exact cause, it is often down to a leak, poorly sized pipework or a clog. The only noise your tap should make should be the noise of water gushing out. If you hear any abnormal or gurgling noises coming from your kitchen or bathroom taps, this often indicates a problem. A gurgling sound in a tap usually means that there is air trapped in the pipes, which should not be happening and can mean that there is a problem with your bleed off system. If this is the case, this is not a simple fix, and we would definitely recommend calling out a plumber to come and address the issue. Even if you do not have an indication of any problems with your home’s plumbing system, it’s always worth a professional giving it a checkup just to ensure that there isn’t the potential for something to break or go wrong. We recommend yearly plumbing maintenance in order for a healthy, leak-free home. For any more information on boiler servicing Milton Keynes, or any of our other services, please feel free to contact a member of our staff today.